[Free Pattern] This Easy To Make Baby Rattle Is So Adorable! What a beautiful and feminine crochet jacket! A must have, this is the type that will get you noticed wherever you go! Like the designer says, wearing this Garden Party Jacket by Stephanie Pokorny you’ll be the sweetest flower in the bunch! Wearing this pretty and tailored well to your body, this flowery granny square jacket will make you look really chic! 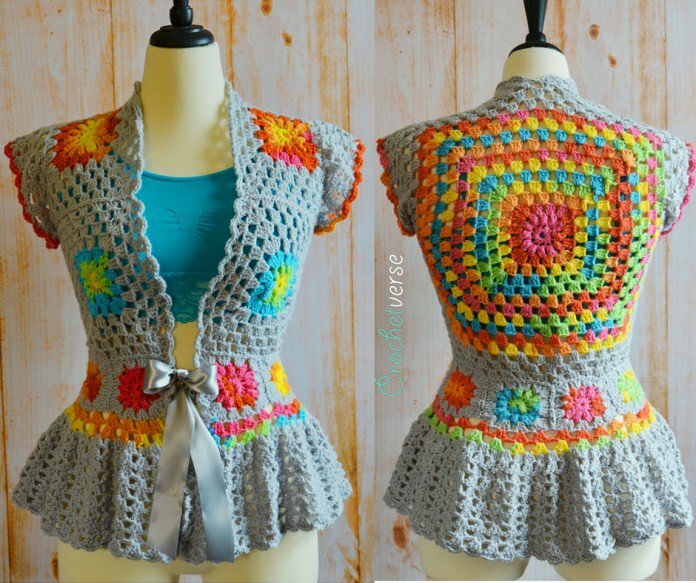 If you’ve never made a garment before, this pattern is a great one to start with! In addition, it’s written for a wide range of sizes from XXS though 5X, and the feminine shape is sure to enhance any woman’s figure! Tamarisk oh lawd I can see you wearing this, so frickn adorable! I would wear the heck out of this!! Sans pants…. maybe if my booty wasn’t so lily white. Look Linda, this is really nice. Huong Hoang – prittie ,,,, ! Did not sign up for ad’s! ! Now that’s a clever way to use a granny square! The vest/jacket is nice…but all of those exuberant colors make it fugly. Rebecca Kathryn Latham-Ryder this would look stunning on you! Same problem here. Not enough hours in the day! Omg this is my next project!!! But is there a video for this? I really need the visual and I really really want to make this!! 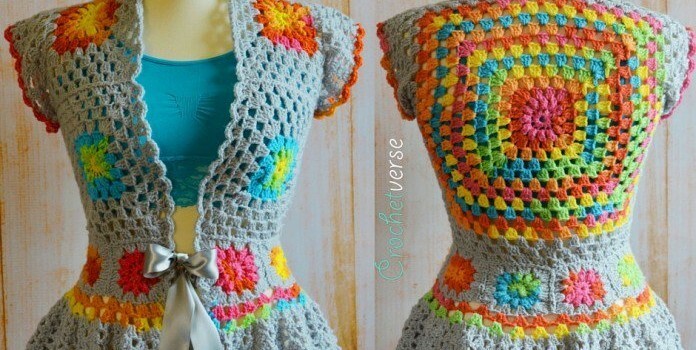 I really want to make this I’m in love with it! But I really need the Visual is there a video?